Greyhound racing is South Australia is set for a shakeup in May. Greyhound Racing SA (GRSA) is set to deliver a new style of racing to punters this May. 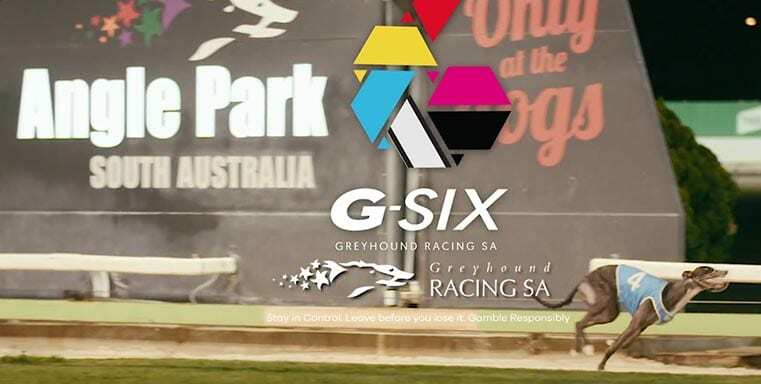 Starting May 2, GRSA will commence a trial of G-SIX racing at Angle Park, Gawler and Mount Gambier. 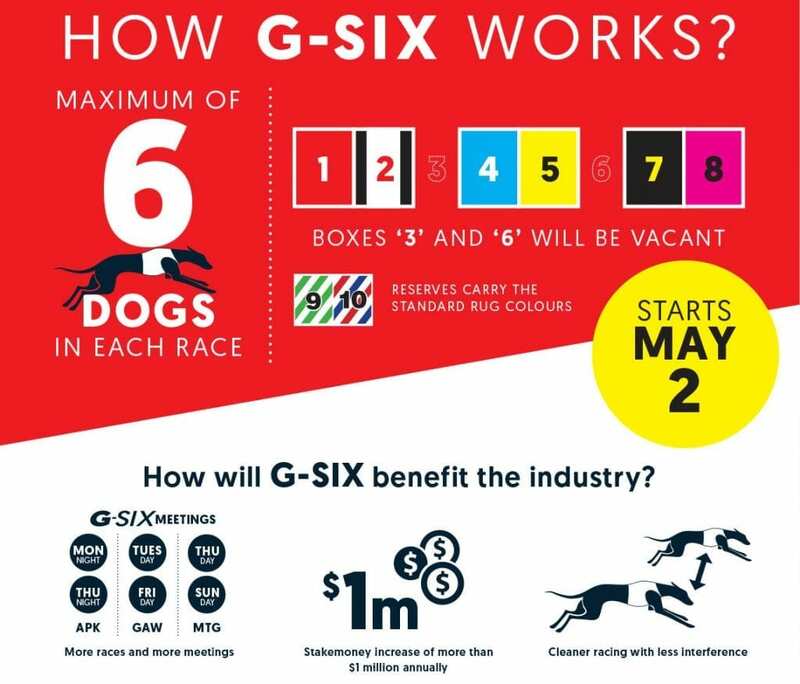 G-SIX racing involves six-dog fields being drawn as the norm for those venues through until the end of July. The new format of racing mirrors the traditional approach at English tracks but with the additional appeal of dogs being more generously spaced at box-rise. GRSA says the trial format has been made possible with the assistance of Tabcorp. GRSA Chairman Grantley Stevens is just one of those expecting the concept to be a game-changer in Australia. “In this instance, less really does amount to more. The G-SIX initiative will allow us to run more race meetings and more races on each card.